Offensive lineman rarely get the spotlight. That is, in part, due to the mundane nature of their occupation, but also attributable to their workmanlike personas that shun any one player standing above the rest. 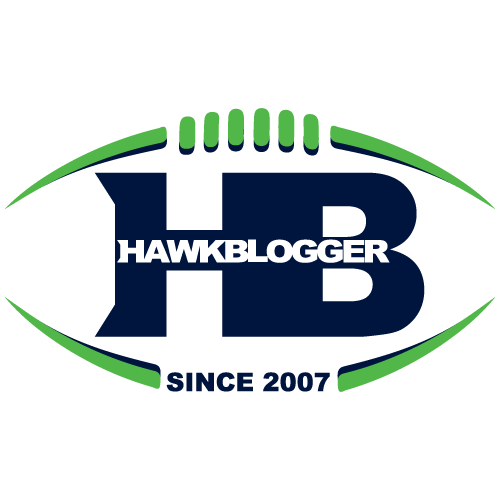 The Seahawks offensive lineman have received more than their share of attention this season as fans and media endlessly debated just what level of atrocious they were. Russell Wilson and Doug Baldwin have gained the lion’s share of national attention during this recent Seahawks run, with both playing at historic levels. The line, though, has laid the foundation with a stunning transformation. Each player deserves to be recognized. Garry Gilliam was a tight end in college who transitioned to a left tackle. He went undrafted before being signed by the Seahawks last season. He made the team, and trained as a backup left tackle all year before starring in the NFC Championship game when he caught a touchdown pass from punter Jon Ryan. He entered camp as a backup left tackle, and practiced exclusively on that side until shoddy play by Alvin Bailey at left guard and Justin Britt at right tackle forced the team find a way for Gilliam to get on the field. That involved shifting Britt to left guard and Gilliam to right tackle. He was given two weeks to learn his new position, including the flipping his footwork and hand positioning, before facing Robert Quinn, Chris Long and the St. Louis Rams. It predictably did not go well. His strength has always been his athleticism, which helped him move his feet and stay in front of speedy pass rushers. 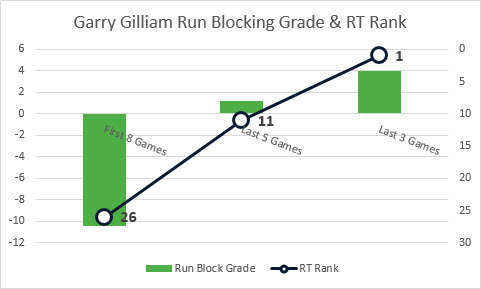 It took some time for that to translate into solid regular season performance, but no player on the line has improved as much over the season than Gilliam. 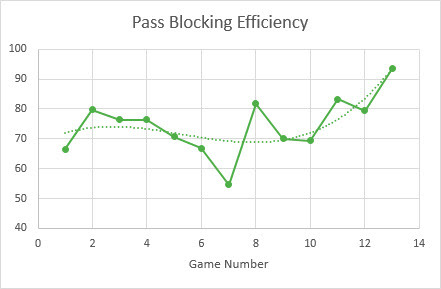 ProFootballFocus keeps a stat called Pass Blocking Efficiency (PBE) that tallies all the hurries, hits and sacks a player gives up relative to the pass plays they are in the game to block for. 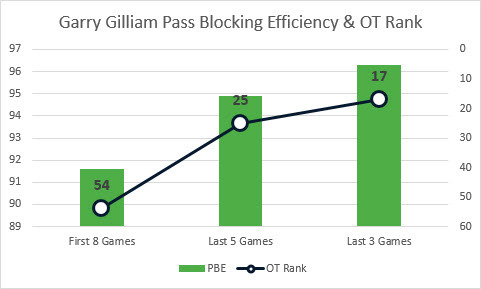 Gilliam ranked 54th in that number among right tackles the first half of the season, with just a 91.6 PBE. He has raised that to a 96.3 over the last three games, which ranks him 17th in that time period. His run blocking has improved as well, according to PFF. Gilliam is the top-rated right tackle in the NFL over the past three weeks when it comes to run blocking. The PFF grading system is certainly not the end-all for measuring player performance, but it is at least one indication of how Gilliam’s level of play has raised recently. Britt had a similar challenge to Gilliam in being asked late in camp to switch sides, but he was also asked to switch positions. He was one of the worst pass blocking tackles in the NFL last season as a rookie, per PFF, and the hope was that putting him at guard would make life easier on him. It did not work out that way for much of the season. Britt was among the least effective pass blocking guards in football to start the season, ranking 49th overall. His improvement has not been quite as meteoric as Gilliam, but it has been steady and meaningful. Britt is no longer letting as many free runners at Wilson up the middle, and the passing game has been all the better for it. Many people, including Pete Carroll, have pointed to the insertion of Patrick Lewis at center at being a pivotal moment for the team and the line. The numbers certainly bear that out. The offense have averaged 413 yards per game and 32.7 points in his starts this year, compared to 355.9 yards and 20.6 points in games when he did not. In fact, two of the top three yardage games (596 yards at ARI last year, 508 yards versus SF this year) for the Seahawks offense since Carroll came to Seattle happened when Lewis was at the helm. J.R. Sweezy is the poster child for how PFF grades can differ from team evaluations. Tom Cable will tell you Sweezy is one of the best guards in the NFL. PFF has always ranked him near the bottom of the league. James Carpenter was a similar case, and the value the market set on him this past offseason tends to support Cable’s point of view more than PFF’s. That matters as Sweezy is set to hit the open market after this season. The way the season started, some Seahawks fans may have welcomed that exit. But even PFF is starting to see how well Sweezy has been playing lately. Sweezy has struggled to stay in front of pass rushers much of his career, but has been nearly flawless the past three weeks. PFF has him at 98.5 on pass blocking efficiency during that time. Only three guards have rated better. 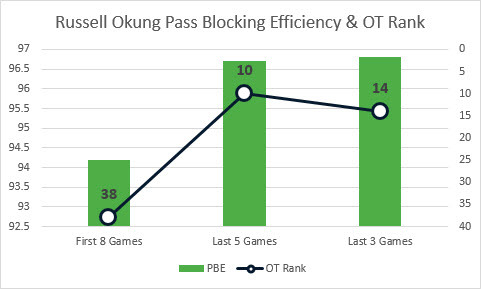 Russell Okung is the fixture. He has the honor of being the very first pick of John Schneider’s career as Seahawks GM. Okung has made one Pro Bowl, and will be a free agent himself after this season finishes. 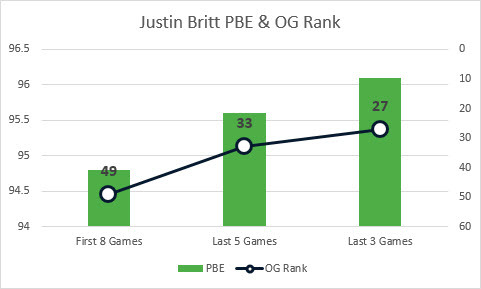 His play has been more consistent than any player on the Seahawks line when he is healthy. The one Pro Bowl appearance is about right. He can reach elite levels of play, but is generally an above average left tackle. His durability has been a concern, but he started 14 games last season and all three playoff games, and 12 of 13 games this season. His pass blocking has also picked up in the past few games. The combination of Gilliam and Okung both being Top 20 pass blocking tackles over the past few weeks has helped unlock Wilson and Baldwin’s talents in the passing game. Part of what makes football the ultimate team sport is how each of the different elements combine to tell a larger story. Wilson is throwing the ball more quickly which helps the line since they need to protect for less time. The line is protecting better, which is allowing Wilson to stand in the pocket like he did on touchdown passes to Baldwin and Tyler Lockett against the Ravens. Even the line itself, cannot truly be separated out as a missed assignment or block from one player can have a ripple effect on the rest of the players. What the numbers and the results tell us is that this group is playing better than it has at any point this season, and may be reaching Cable’s preseason claim as the best line he has had in Seattle. Nobody would have predicted that five weeks ago.